AR Giants is a phone based augmented reality tourism application. It is designed for tourists that enter a new city and want to guide themselves around the city. It uses geolocation and the magnetometer to guide users through a city and then switches to an augmented reality mode when users reach a destination/point of interest. The augmented reality mode points out the object of interest and other useful things around the area. 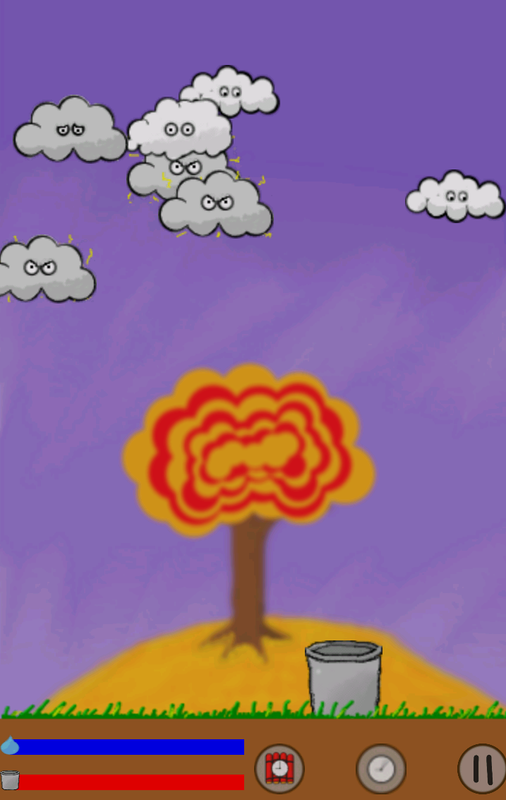 A Rainy Day is a complete Android game where your objective each level is to condense the clouds and gather the resulting water with your bucket. This was a solo project. The programming was all done in Java (with only the Android SDK), the art was all made using gimp, and the audio was made using audacity (with the exception of the music which was provided by bensound). 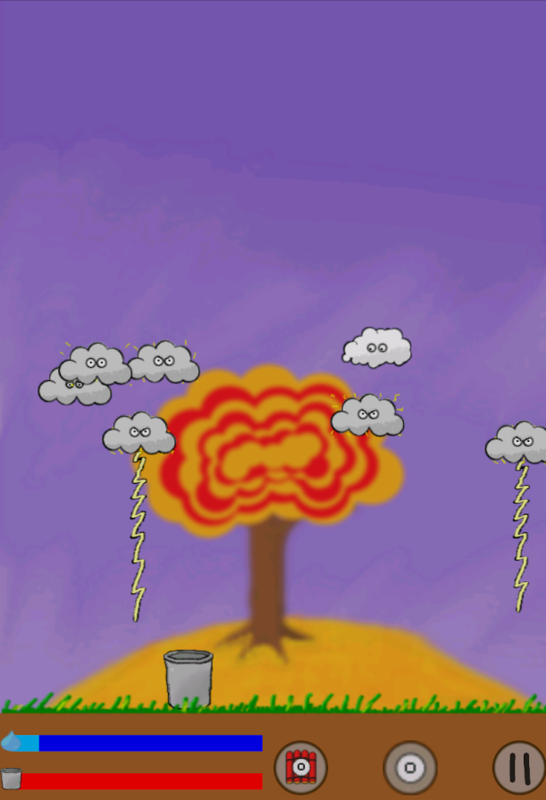 A Rainy Day can be downloaded from Google Play here. Lon O'Matic is an automated watering and information gathering system. The hardware component gathers readings on the current temperature, soil moisture, and amount of sunshine. It then acts as a small server for excel to grab the data from. The software component stores the data and compiles it into a readable format (a graph). The user can input harvest information into the form and track correlations in weather patters and growing results. Cafetoonia is an iPad game developed for local multiplayer. It's a simple casual game developed over a weekend Game Jam with a small team. GarbageTech was an attempt at a new approach to handling waste. The solution is a hardware based system supported by software. The software aspects briefly teach the user about the results of their waste and the hardware component helps sort the waste into the appropriate bin.